Providing you the best range of homogenizer sewhm - 2000, homogenizer sewhm - 500, homogenizer sewhm - 250, homogenizer sewhm - 1000, homogenizer sewhm - 300 and homogenizer stp- 40 ld with effective & timely delivery. Motor Starter L & T starter will be provided. Painting The Inner part of the main housing is white color in two Coats. We are the leading supplier of Homogenizer STP- 40 LD. Number of Piston 3 Nos. 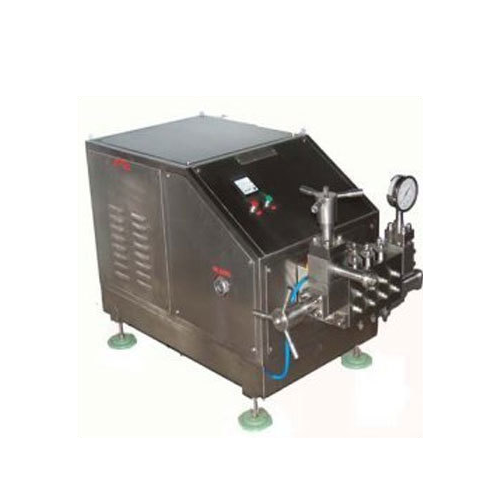 We are the leading supplier of Homogenizer SEWHM - 200. With state-of-the-art infrastructure facilities, we are engaged in offering a large gamut of Homogenizer. These are well known due to their high tensile strength and long life. These are manufactured by our experts using advanced technology and best quality material. Offered products pass the milk with high pressure and are very reliable in nature. Offered products are available in market at very affordable prices.